Preheat the oven to 180°C and line a baking tray with non-stick paper. Cut the Ferguson Flake fillets into nugget-sized pieces. Place in a bowl and add the flour and a pinch of salt. Toss to coat the flake. In a medium bowl, add the egg and milk. Whisk well to combine. In a separate bowl, add the breadcrumbs. A few pieces at a time, place the floured flake into the egg mixture, and then into the breadcrumbs. 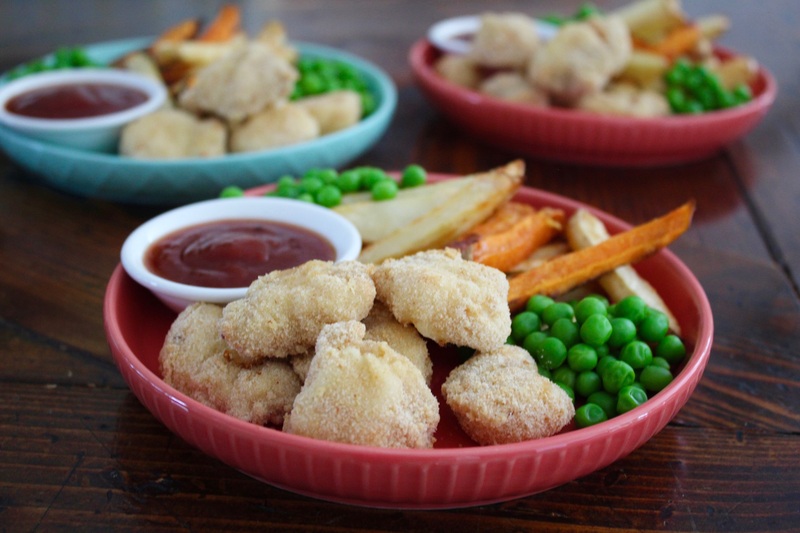 Place the crumbed nuggets onto the prepared tray and into the oven. Cook for 15 minutes, turning the nuggets halfway through. Serve with homemade chips, peas and tomato sauce.